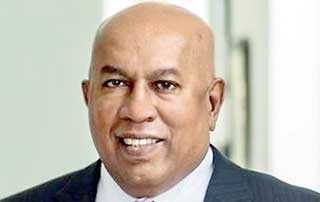 Singer (Sri Lanka) PLC has announced its results for the first nine months of 2018/19. Revenue for the nine months amounted to Rs. 44.5 billion, a notable increase of 13% compared to the same period in the previous year. Excluding the impact of exchange loss of Rs. 355 million which arose from the dollar denominator supplier credits, Group Net Profit for the nine months was Rs. 608 million and Profit Before Tax was Rs. 950 million. Group Earnings Before Interest, Tax , Depreciation and Amortisation (EBITDA) for the nine months was Rs. 2,889 million against Rs. 2,567 million in the previous year which was above the prior year by 12.5% . The third-quarter Group Revenue increased by 10% while Group Operating Profit increased by 21% excluding the impact of exchange loss, Group Net Profit for the quarter was Rs. 152 million. Business conditions remain challenging due to sluggish market demand and low consumer spending on durable goods that were further burdened by the import restrictions and currency devaluation impact on selling prices. Singer (Sri Lanka) is the largest retailer, financier and manufacturer of consumer durables in Sri Lanka. The company has 437 retail stores as well as a fast growing e-commerce platform. The company also serves over 2800 dealers/sub retailers. It is also renowned for its after sales service network with 14 Regional Service Centres and over 300 service agents. Apart from its house brands, the company is the exclusive distributor for many well-known international consumer durable brands. 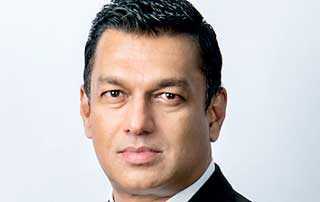 The Board of Directors of Singer (Sri Lanka) comprises Chairman Mohan Pandithage, Co-Chairman Dhammika Perera, Group Chief Executive Officer Mahesh Wijewardene, Stephen Goodman, Deepal Sooriyaarachchi, Dumith Fernando, M. H. Jamaldeen, Sarath Ganegoda, Dilip de S. Wijeyeratne and Otara Gunewardene.